Wave Abby Cadabby's wand through the air to hear magical sounds! 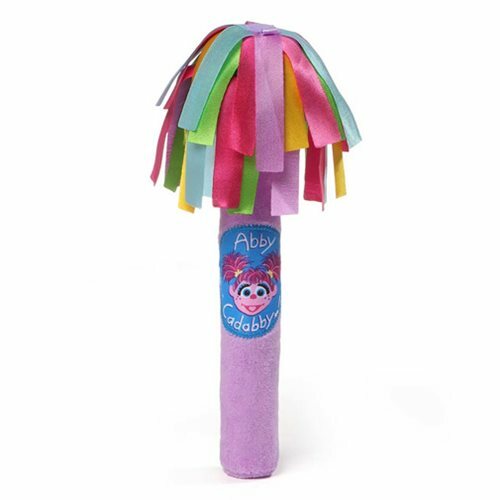 Adorned with rainbow satin tassels and the adorable fairy's name and face on the handle, this 9 1/4-inch long Sesame Street Abby Cadabby Magic Wand Plush is sure to inspire hours of fantasy and imagination. Surface washable for easy cleaning. Ages 1 and up.